A raucously glitzy night of Swing and Salsa supporting Temwa and Aid Box Community. Think Strictly but with a thoroughly Bristol edge (that still means a LOT of sequins). 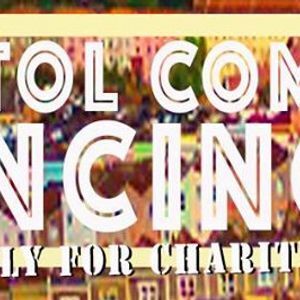 20 couples go head to head (or cheek to cheek) in the ultimate charity dance off, to compete for the title of Bristol Come Dancing Champions of 2019. Following six weeks of training and fundraising, the couples will perform in front of a panel of judges and a live audience. Be there to experience an incredible show and make a difference to vulnerable communities both here in Bristol and in northern Malawi. Vote for your favourites, cheer them on, prop up the bar and keep the dance floor alive ‘til the early hours. ** Donate A Ticket gives you the option of purchasing a ticket so that someone else can enjoy this event: we will offer donated tickets to the wonderful volunteers who support Temwa and ABC as well as to ABC's customers.